Periodontal disease can be a serious threat to your health. Infections of the periodontal tissues (gums and bone) are surprisingly common, and cause problems in the part of your mouth that is responsible for supporting your teeth. Bacteria grows on the teeth near the gum line due to poor brushing and flossing practices; if left unabated, it will infect gum issue as well. Gingivitis references the earliest stages of periodontal disease. Symptoms can include sore, swollen gums and bleeding. 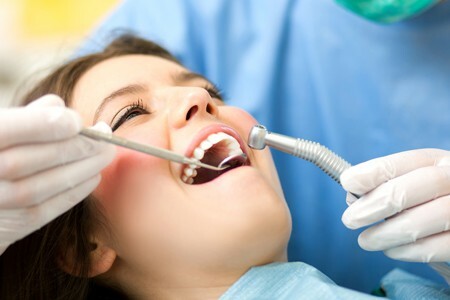 If you allow it to progress, advanced periodontal disease can become immensely painful and lead to receding gums with pockets between the gums and teeth. Periodontitis is the leading cause of tooth loss in adults. Shine Dental Arts recommends routine exams so that periodontal disease can be caught early. Periodontal disease correlates with many risk factors aside, including poor brushing and flossing habits. Systemic diseases, as well as conditions like diabetes and AIDS, may increase your risk of developing gingivitis or periodontitis. Other potential contributing factors include stress, genetics, crowded teeth, faulty dental restorations, and the use of certain medications that may cause dry mouth. The Centers for Disease Control reports that women are also at an increased risk for periodontal disease during periods of hormonal change, like menopause or pregnancy. Any of the previously described symptoms could indicate you have gingivitis or periodontitis. However, the only way to be certain about whether you have periodontal disease is with a professional evaluation by your dentist. Be aware that periodontal disease can be asymptomatic, so it’s important to visit your dentist for a thorough exam and cleaning at least two times each year. What will my Ahwatukee dentist do if I am diagnosed with periodontal disease? Treatment varies depending on the severity of the gingivitis or periodontitis. Less serious cases of periodontal disease usually demand a thorough cleaning and topical antibiotics. Unfortunately, advanced infections in periodontal tissue require more invasive treatment. This may mean flap surgery or bone and gum grafting. Periodontal disease can reoccur. That becomes more likely without substantial improvements to brushing and flossing habits. Best practices often include brushing after every meal, flossing once daily, avoiding tobacco and frequent professional dental cleanings and dental exams. Taken together, all of these strategies can help prevent periodontal disease from returning in the future.